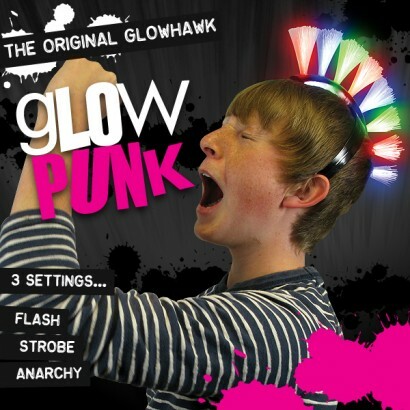 Budding rock stars will love this amazing spiked mohawk made entirely from fibre optics! 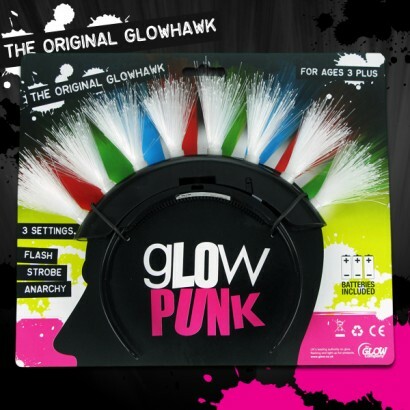 See the fibre optics shine through three colour flash modes; flash, strobe and anarchy for amazing flash fun leaving your hands free to rock out! 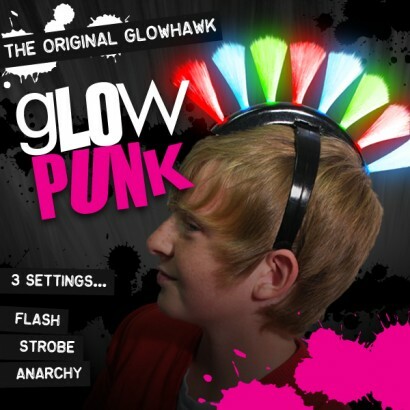 Batteries are included and the headband will fit most making this rocking number a hit for parties and events! 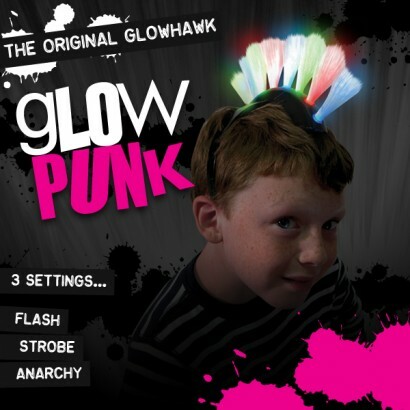 3 modes; flash, strobe and anarchy!